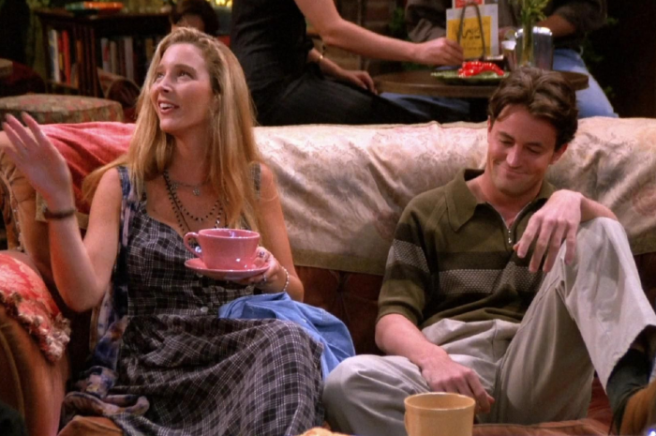 What iconic Friends prop did Matthew Perry gift to Lisa Kudrow? | SHEmazing! What iconic Friends prop did Matthew Perry gift to Lisa Kudrow? Anyone who's everyone watched Friends back in the day. It remains one of the most popular shows of all time, spanning 10 seasons and earning millions of viewers per episode. The lead actors became stars overnight after the show began airing in the early 1990s, and it's no surprise they wanted to keep some mementos after a decade of working on the project together. Lisa Kudrow has shared a photo of the gift which Matthew Perry gave her after they wrapped up filming, and it's UNREAL. Matthew bagged Monica's cookie jar for Kudrow, who played Phoebe Buffay on the classic sitcom. The instantly recognisable prop now sits in the star's home, where she probably puts her granny's infamous Nestlé cookies. The 55-year-old showed the jar to her 1.6 million followers on Instagram, and Friends fans freaked out, as predicted. She captioned the snap; "My wrap gift from Matthew Perry…”ooh, look at the time, I’ve gotta go.”" BLESS HER. Lisa had previously explained the tale behind Matthew's choice of present to Comedy Central. 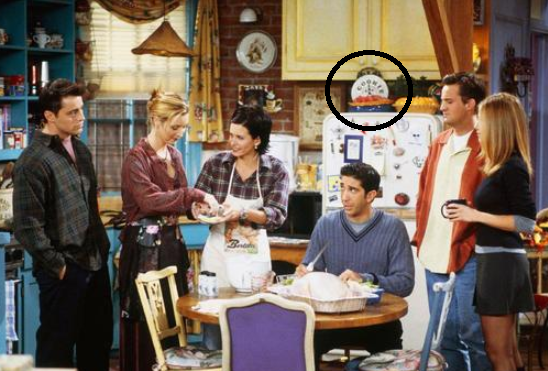 "It’s this cookie jar that was in Monica and Rachel’s apartment, and there’s a clock face on it,’ she began. "He gave it to me because… I had a scene where I was supposed to say, “Ooh, look at the time, I gotta go!”" she said. "Well, I wasn’t wearing a watch. Because we’d rehearsed it but no one thought about it. As we were shooting, and the audience was there… it was coming up and I was like, uh oh, I’m about to say, “Look at the time.” I don’t see a watch… there’s no clock anywhere…"
"It was so stupid of me… that’s my fix! He asked Warner Bros, he got special permission and he gave that to me." Awww, gowan Matthew. What a great pal. LeBlanc, who played Joey Tribbiani on the show, also revealed that he keeps the foosball from Chandler and Joey's foosball table in his tool kit. We'd probably have tried to leave the show with the entire of Monica Geller's apartment and the contents of Rachel's wardrobe. We absolutely love all of these nostalgic on-set Friends stories, give us more please?